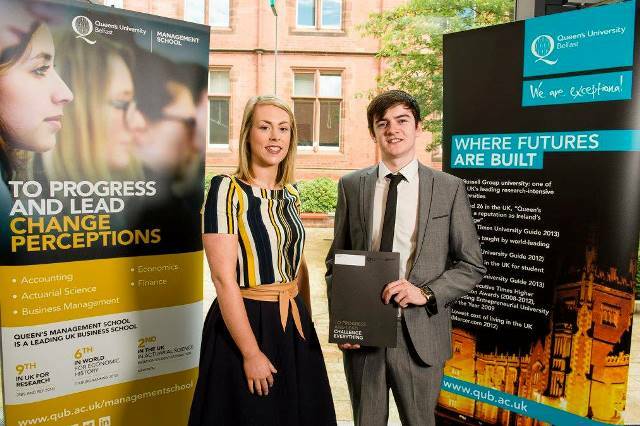 The following Former Abbey Students won awards in June 2016 from Queen’s University Belfast. 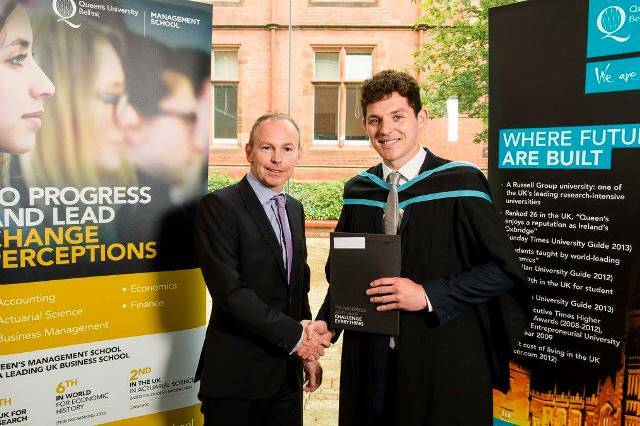 Patrick was jointly awarded the Acumen Resources Prize for the best reflection on the placement experience at the recent Prize-giving Ceremony in Queen’s Management School. 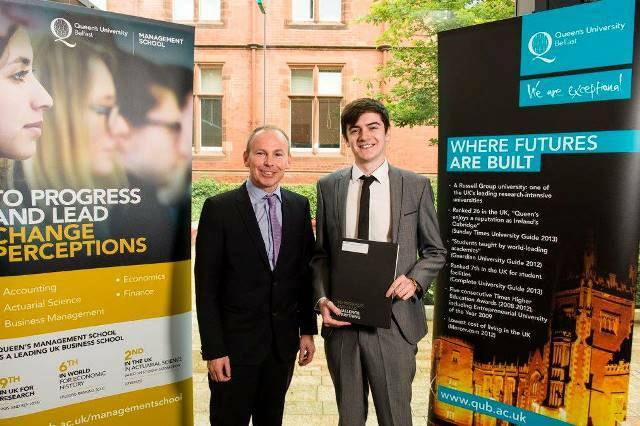 The image shows Patrick with Mr Paul Walsh from Acumen Resources. Sean was jointly awarded the Worshipful Company of Actuaries Prize as one of the top two students in Level 1 BSc Actuarial Science and Risk Management and he was also awarded the best student in Actuarial Mathematics Level 1 at the recent Prize-giving Ceremony in Queen’s Management School. The images show Sean with Mr Paul Walsh who was representing the Worshipful Company of Actuaries and with Ms Bronagh Traynor from Invesco. 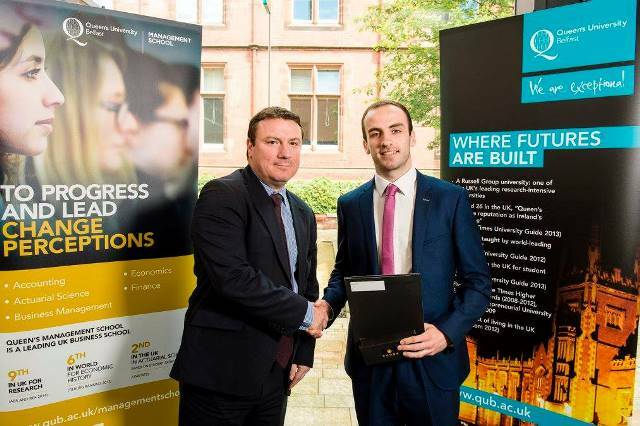 James was awarded the KPMG Prize for the best second year student in BSc Finance at the recent Prize-giving Ceremony in Queen’s Management School. The image shows James with Mr John Poole from KPMG.